The University of Iowa has intensely recruited Chinese students since 2007, but has made little progress helping them assimilate to campus life. In some respects, an IowaWatch investigation has found, the university’s practices make interactions with domestic students more difficult and increase isolation. The story you are reading won the Society of Professional Journalists’ (SPJ) Mark of Excellence Award for best online news story by a college journalist in 2014. You can help IowaWatch fulfill an Iowa Center for Public Affairs Journalism vision of promoting investigative journalism in Iowa. To learn how our nonprofit journalism is funded and how you can support it with a tax-deductible donation, go to this link. Chinese undergraduates, who pay tuition twice that of in-state students, made up the overwhelming majority of the roughly 4,000 international students at the UI. 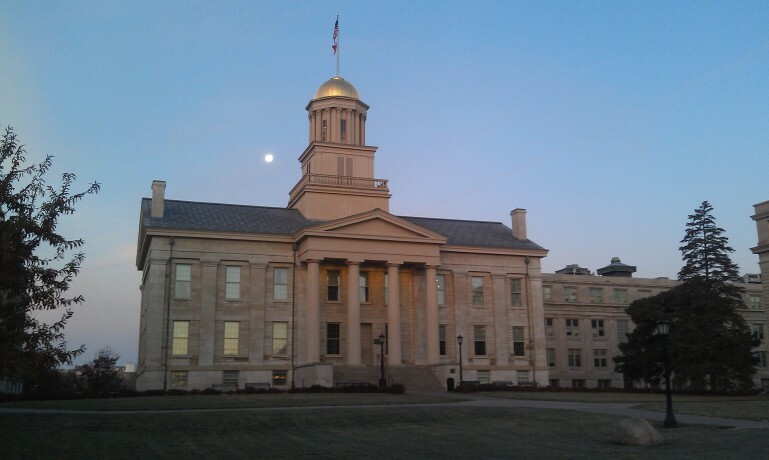 Nevertheless, many students begin to feel alienation from the moment they arrive in Iowa City. Yifei Li, a UI senior, said people have yelled “Ching Chang Ling” at her on campus and she has seen derogatory remarks on Twitter about Chinese students at the UI. “The things you see on Twitter, you can hear them in the dorms, in the streets and when you hang out with friends,” she said. Racist insults in social media and in person, with the UI failing to publicly denounce such incidents as other universities have done in similar cases. Separate university orientations upon arrival on campus, reducing the opportunity for interactions and relationships with domestic students from the outset. Events and programs designed by the university especially for international students that seldom attract domestic students. The UI and other universities go to great lengths to recruit international students, who enhance a university’s international reputation. But top UI officials admitted this year that an influx of international students left them unprepared to help the students integrate with domestic students and improve campus life for them. Tom Rocklin, UI vice president for student life, said the university went recruiting without being prepared for the sudden influx of Chinese undergraduates and the need to help them integrate. The students succeed academically, but improving interactions with the community is another matter, he said. Many higher education experts say the patterns and behaviors seen at Iowa exist nationwide and some describe a growth of neo-racism, a discrimination based on culture and nationality besides biological characteristics. Much of the discussion about the international-domestic separation devolves into inconclusive debate over who is more to blame: Chinese students for forming cliques and not trying to get involved or domestic students for lacking curiosity and empathy in building international friendships. Jeffrey Ding, the incoming University of Iowa Student Government vice president, said the division between international and domestic students is subtle. Mary Knorr, who graduated in May, said many of her fellow American students are “disinterested and not curious and almost arrogant toward other cultures.” That leads to negative assumptions and stereotypes, like Chinese students drive luxury cars, dress differently and don’t socialize, she said. “There are just so many things that separate us that are visible. When the language barrier is there, and you don’t feel like you can communicate 100 percent, you go off what you see,” she said. A UI survey last year, Student Experience in the Research University, showed that international students feel significantly less respected and less belonging than domestic students, including domestic minorities. The university had 2,266 Chinese students — 1,673 of them undergraduates — in the fall 2013 semester; almost double the number six years ago, when only a few dozen Chinese undergraduates were enrolled. Now, undergraduates from China account for 74 percent of the UI international undergraduate population, nearly triple the national trend of 28 percent reported by the 2013 Open Doors Report. Studies attribute the increase to the rise of middle class in China, the financial problems of U.S. universities and colleges and higher education’s need for diversity. Ninety-seven percent of the UI foreign undergraduates pay their own way, according to the University of Iowa International Students and Scholars Statistics. They contributed more than $110 million to the local economy, and the overall international students contribute $24 billion to the national economy in 2012-13, a report by the NAFSA: Association of International Educators said. Chris Glass, an assistant professor of education foundations and leadership at Old Dominion University, said if universities treat international students just as a source of revenue, the students don’t develop a sense of connection to their university and the university is losing future alumni. 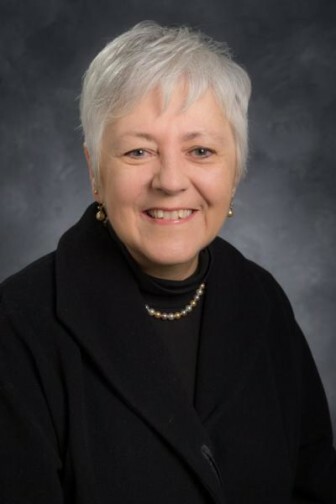 UI leaders are concerned for international students beyond the revenue they generate, Rocklin said in a March 13 interview. 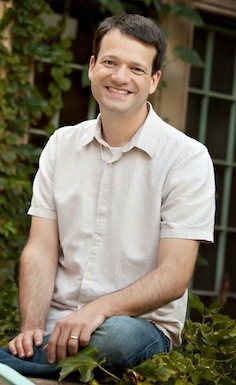 Rocklin said that although integration depends on individuals to form connections, he agrees the university has a responsibility to help integrate international students into campus life. But creating conditions for cross-boundary interaction is challenging. “I don’t know that anyone has figured that out anywhere,” Rocklin said. Cultural differences, language barrier, and unwillingness to step outside of comfort zones contribute to the separation, said Ding, who moved to Iowa City from Shanghai when he was 3 and who has become an activist for international students. Can Zhang, former vice president of the UI Chinese Students and Scholars Association who graduated in May, said many Chinese came to Iowa eager to make friends with Americans but had difficulty getting involved in their activities because of language hurdles and cultural differences. Zhang said he makes casual friendships easily, because Americans are usually nice. But to truly be friends with them is difficult. Nationally, about 40 percent of international students reported they don’t have close American friends, according to a study published in the June 2012 Journal of International and Intercultural Communication. Getting domestic students to engage with international students is challenging, Vice President Rocklin said. Douglas Lee, assistant provost for UI International Programs, said the separation might not be an issue for all students. Some international students come to the United States just for a degree and have little interest in mingling with others, as do some domestic students, he said. Although experts say similar segregation between Chinese and domestic students exists on campuses across the country, they also say good solutions exist and that universities can do things well short of force. Glass, the Old Dominion University professor, said universities should change every aspect of university service, from food services to academic advising, housing, teaching, event programming, orientation, career services and teaching. Glass is a lead researcher of the Global Perspective Inventory, which examines student experiences based on survey responses from 70,000 undergraduates, including 5,000 international students, at 135 U.S. colleges and universities. He said universities should provide co-curricular activities and “a significant amount” of multicultural coursework and leadership programs that involve discussion on multicultural and multiracial issues. They also should try to make sure U.S. students engage in multicultural classes. The UI doesn’t require a diversity course. Students need to take one course in the general education area of Values, Society and Diversity, which doesn’t have to be cross-cultural. A course about jazz music, for example, would fulfill the requirement. 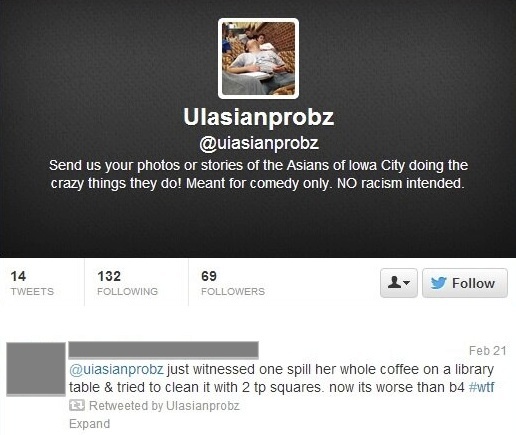 Screenshots of the UIasianprobz Twitter profile and a retweeted tweet, taken March 3, 2014. Last fall a surge of prejudiced remarks against Asian students – mainly those from China – appeared on Twitter. The Twitter account UIasianprobz had been reposting photos and negative and hateful remarks about Asian students based on how they dress and act. “Meant for comedy only. No racism intended,” said the account profile. A September column in The Daily Iowan, the UI campus newspaper, denounced this, but the university didn’t respond. Joelle Brown, governmental relations liaison at the University of Iowa Student Government, said she raised the Twitter issue at a monthly student leaders meeting with President Mason 20 days after The Daily Iowan article was published, but did not show the tweets to Mason. Mason said she cared about international students, and referred Brown to other central officials involved in international student life. Student leaders started meeting then with administrators at different levels regarding issues facing international students, Brown said. Mason said she learned that there were issues facing international students at the meeting, but had not been aware of the derogatory tweets until interviewed. If she had been aware of them, she said in an April interview for this story, she might have publicly denounced them. She said seeing the tweets is sad and that she felt sorry that international students are experiencing racism. Vice President Rocklin, who labeled himself a huge advocate of free speech, said he felt helpless while dealing with the issue because the university has little power to deal with intolerance or ignorance and could not stop the racist remarks on the Internet. He said university officials had talked to students, encouraging them to speak up. But did the UI send that message? Downing Thomas, associate provost and dean of UI International Programs, acknowledged his awareness of the hurtful language but said the university shouldn’t respond. Glass, the Old Dominion University professor and researcher leading a national study of international student experiences, said stopping racist behavior isn’t a realistic goal because of its deep origin, but a university can change its culture. When things like the Twitter incident at Iowa happen, intervention by the institution is important, said Jenny Lee, associate professor at the Center for the Study of Higher Education at the University of Arizona. Lee, along with her research team, has interviewed and surveyed more than 1,000 international students. She said the university needed to send a clear message to its foreign students, conveying its appreciation and help them combat the horrible feeling. The UIasianprobz Twitter account eventually disappeared. The university didn’t take it down, according to Rocklin. But another Twitter account, UIHawkeyeProbz, which is active, reposts similar derogatory statements on international students. 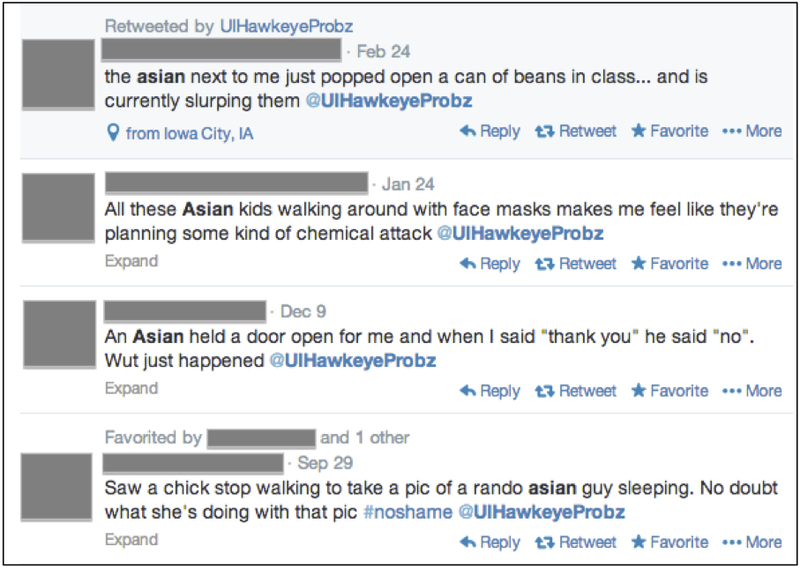 Screenshot of tweets on UIHawkeyeProbz, taken March 3, 2014. Li, the UI senior, said screenshots of the tweets were posted on Renren, a Chinese social media website, which had received thousands of hits and aroused controversy. Some Chinese students thought it was not a problem and blamed the targeted students for not knowing local culture, and some thought the students should “keep calm and carry on,” although they acknowledged it was hurtful language, she said. Hate speech, spoken or tweeted, takes place on other campuses; and sometimes, university officials respond directly. In 2011, a former student at the University of California, Los Angeles, Alexandra Wallace, made an anti-Asian YouTube rant. 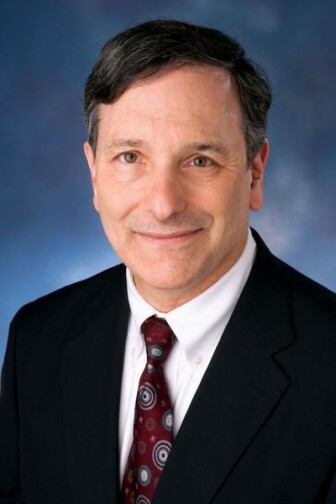 UCLA Chancellor Gene Block delivered a video message denouncing an anti-Asian YouTube rant by a former UCLA student. Block echoed his statement in a video message. Two years ago, Michigan State University’s student newspaper reported a similar social media racism against Chinese students. The university organized a photo campaign called, “OUR MSU: Our Voices. Our Struggles” to denounce discrimination and intolerance on campus. Glass, the Old Dominion professor, called it courageous academic leadership. Glass said senior administrators need to organize a task force to gather faculty and administrators across the university to name the problems and discuss ways to restructure the institution. These incidents, including the twitter comments at the UI, reflect a prevailing but often understated problem. Jenny Lee, the Arizona professor who has studied international students for nearly a decade, said students suffer in silence from discrimination. Some abuse is physical, some is verbal and sometimes it is in more subtle forms and in thoughts people don’t state or recognize. Most foreign students don’t speak up because of visa concerns or fear of being dismissed, she said. Lee, the daughter of Korean immigrants, co-authored an article in Higher Education in 2007, describing the phenomenon as neo-racism, discrimination based on culture and nationality besides biological characteristics. Neo-racism justifies racism by appealing to the tendencies to maintain the dominant group’s cultural or national identity. Seven years after the article’s publication, the situation has gotten worse on college campuses, Lee said. The sudden growth in the number of Chinese students results in far more tensions. They get a lot more attention, resistance, and discrimination from local communities, students and professors, she said. Lee said neo-racism affects international students academically, socially and mentally and will prevent them from getting the full benefits of the education. Students who feel discrimination return to their home countries and share their unpleasant experiences, which could affect university enrollments and revenues, since international students pay twice or three times more tuition than local students. Lee said this is one reason university administrators are hesitant to discuss the problem. Some of the University of Iowa’s standard programs, such as special events for international students, orientation, and the housing program often contribute to the separation of foreign and domestic students. International students receive e-mails from the university about events designed for them, such as pumpkin carvings, egg coloring and trips to Amanas. Few U.S. students attend. Brown, the student government member, said she was one of two U.S. students at last year’s pumpkin carving event, and she wouldn’t have known about it if her international friends had not told her. Some UI programs have had successful experiences working with domestic students but the successes required extra efforts beyond sending mass e-mails. Jennifer Blair, assistant director of Global Community Engagement at Tippie College of Business, piloted the “International Buddies” program last spring, where 112 international and U.S. business and pre-business undergraduates paired up for a semester-long partnership. She said the Global Engagement Student Advisory Board at Tippie, which she oversees, is a good vehicle for event programming. Another initiative, Global Leadership Starts Here, brought in 50 participants — half U.S., half international. Faculty, academic advisors and students organized the initiative in February to foster connections between domestic and international students. The workshop had an ICON class site, an online class support system at the UI that allows users to access documents and participate in online discussions. Organizers also sent hand-addressed invitations and reminders to specific participants (Disclosure: the author of this article was involved in planning this event). On May 14, The Daily Iowan published a column by President Mason, in which she celebrated the upcoming commencements for this year and announced the university was going to broadcast its business school commencement to China with translation and commentary. “I will continue to look for opportunities to send positive messages about the diversity of our campus because I believe that positive reinforcement can often work to elicit positive change, more so than creating an adversarial environment,” Mason wrote in an e-mail to IowaWatch. Sara Wom of Des Moines said she was surprised when four years ago she participated in her orientation program in late July. International students were not participating. International Students and Scholars Services, under International Programs, holds international student orientation the week before school starts. During the first few days or weeks in Iowa, new students have few chances to interact with Americans. Lee Seedorf, senior associate director of International Students and Scholars Services, said international students usually arrive at the end of the summer because visa regulations do not let them enter the United States more than 30 days before the start of school. Meanwhile, domestic students have orientation throughout the summer. Because of the divide, Seedorf said, domestic students aren’t taught to be culturally sensitive or respectful of international students. “I see this tying into things like racial and ethnic harassments that’s going on, and the twitters, or people harassing people verbally on the street,” she said. Seedorf said getting U.S. students involved in international student orientation was challenging. In the past, only a few applied to be volunteers and some didn’t show up. She would like to require participation in international student orientations for certain majors or funds to pay domestic students to get involved, which would require the approval of various academic programs and administrators. The same constraints affecting orientation sometimes affect housing choices. A lengthy visa process and other travel uncertainties mean many Chinese students cannot commit to the university and cannot apply for campus housing until late in the game, when dormitories often are full. The university squeezes the overflow into temporary quarters such as a dormitory floor lounge with as many as seven others. Two years ago, 78 of the 189 students in temporary housing were international students. The university is making progress. Last year only 16 of the 46 students assigned to temporary housing were international students. Von Stange, UI senior director of university housing, said reserving residence hall space for international students would be unfair to students who applied early. He also said forcing American and international students to room together when they may not want to do so would cause problems for both. “I don’t think our domestic 18-year-olds are mature enough to live with an international student, to be quite honest,” he said.